A few months ago, we saw a blog about the claims process of the future. This described how insurers and insureds might experience the claims process in the 22nd century. How different would it be? And how different should it be? Today we’re taking a slightly different approach. Rather than focus on what that future claims process will look like, we want to talk about how you can lay the groundwork for your organisation. 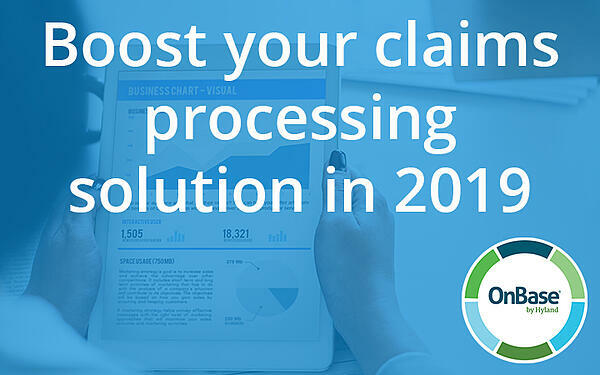 How, in 2019, you can start preparing your company and customers for the claims process of 2119. While the overall disruption caused by InsurTech startups is leveling off and insurers are throttling back certain transformation expectations, one revelation is still keeping insurers on their toes: Fluctuating customer expectations and the need for an engaged communication model. 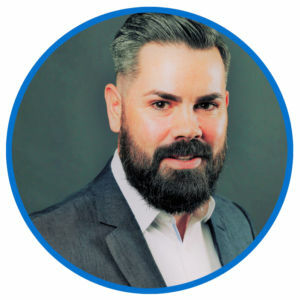 As technology advances and today’s wearables become de rigueur, insureds will expect a near immediate connection to their provider, especially when they need you the most, when the unexpected happens. Insurers who can provide a close connection with policyholders will gain a competitive edge over their peers. That edge comes less from quickly answering standard questions on claim statuses. It comes from the ability to constantly engage with the insured. In fact, technology should both delight customers and draw on customer feedback, says McKinsey in its report, Claims in the digital age: How insurers can get started. “Satisfaction surveys in claims consistently show that customers desire a fast and intuitive process as well as transparency on where they are in the process and what happens next,” the report reads. This two-way street allows insurers to swiftly improve service offerings as well as act on any snags in usability and tech performance. To get there, though, means taking a hard look at legacy technology and committing to investments in new technologies – the meat and bones of digital transformation. Here’s where we move toward InsurTech and the growing market for wearables and mobile apps. Tech savvy insurers quickly understand that the data the Internet of Things collects – along with the way they can analyse that data – enables better decisions and a faster claims process. To get there, insurers must do more than enable adjusters with easy-to-access information. They must reduce manual steps in the claims process to expedite decisions and eliminate tedious tasks for skilled adjusters. A true digital claims solution automates each step of the process, from claims prevention, through FNOL, claims management, loss assessment and repair – even settlement. Yes, insurers are moving toward a model that allows claims payout without an adjuster’s personal approval. That means claims resolution in hours rather than days and weeks. Maybe even faster than that. The digital renters and homeowners’ insurer, Lemonade, does this through a chatbot-based FNOL system that can payout a claim in seconds. Artificial intelligence, as a quick example, can analyse and identify the best path for a customer’s claim, possibly even encouraging the insured to set an appointment with an approved repair shop, speeding the overall process. And integrating core claims systems, like Guidewire and Duck Creek, with the right content services solution provides insurers with the technology and tools the claims team needs to quickly, efficiently and securely manage claims. Many of these emerging technologies open up new dimensions of claims management that will enable the insurer and the insured to interact in dramatically different ways prior to and throughout the claims process, says Gartner in its report Claims transformation is elevating the role of the digital customer. In addition to providing new and faster FNOL options, says the report, insurers are aggressively exploring opportunities to involve the consumer in other aspects of the claims process, such as inspection and estimation of damage. Speeding the estimation process, adjusters can remotely view data and imagery collected by consumers on their mobile devices. To adjust a claim properly, adjusters must have access to all the information that relates to both the incident and the insured. That comes from conversations with the insured, both traditionally and digitally, through email, text, social media or chat. They may even gather information from various sources, such as the sensors and wearables mentioned above. As long as this information is housed in a central database, properly identified and appropriately tied to the insured’s case, all parties can easily access what they need to move the claim along – if they need to get involved at all. In this new dynamic, simple, routine transactions are shifted to handlers and intermediaries. Some may wind up in the customer’s hands, as well, according to McKinsey. Many 22nd century customers may never speak with an adjuster at all, but work within a self-service portal that pays out their claim the same day. Still, communication and customer experience rules the day. Today’s insurers have inconsistent levels of service across multiple channels. Most companies do not have a single view of the customer, and the only contact is at the time of claim or renewal. A complete view of the customer must be included in the 22nd century automated claims process. No customer wants to provide the same information over and over again. Claims should be considered the key customer touch point. The 22nd century insurer will leverage the growing number of digital channels and platform ecosystems to provide a complete view of the customer while enabling them to be more active in the claims process. The choice is easy: Embrace new technologies and deliver next-century service, or be left behind in the past. If you have any questions about how we can help make your AP management easier, please complete the form below.